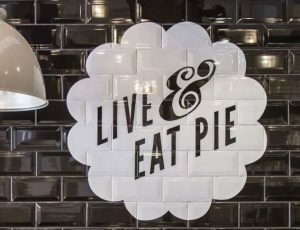 We’re looking for an Engineering Manager to co-ordinate the engineering resources and projects at our Pieminister factory. Reporting to the Operations Manager, you will be responsible for your team of maintenance engineers, all factory machinery and services, building fabric and the maintenance budget. Through excellent planning of preventative maintenance and implantation of improvement projects, you will maximise our pie-making equipment up-time whilst minimising cost. The ideal candidate will have project management and continuous improvement experience plus good number of years of industry experience too, ideally within FMCG. You will need to be proactive with strong bias for action, commercially astute, able to prioritise and communicate, and have oodles of energy to bring to the role. This role is based in Brentry in North Bristol (5 min away from M5 J17) and is Monday -Friday, although ability to flex to business requirements (including the occasional weekend) is required. Ensuring Maintenance processes support production targets and meet deadlines, without compromising quality or control of costs. Ensuring good housekeeping is maintained. Ensuring that Quality, H&S and other Company policies are adhered to and liaising with relevant departments to ensure issues are resolved. Maintaining good employee relations and promoting equality of opportunity. Working within the Company Values. Maintaining Group policies, procedures and practices to satisfy all company rules and regulations. Carrying out maintenance audits on all preventative and reactive works that have been completed. Carrying out audits on documentation with reference to all customer codes of practice. Assessing and reporting all maintenance and breakdown repair costs. Assessing and maintaining adequate stock levels. Liaising with accounts and suppliers/contractors for invoice approval. Setting up external annual service and inspection contracts. Reporting strategically to the operational team and to the site General Manager. Recording, reporting and accountability for all running costs, for example water and electric. Recording, reporting and accountability for all maintenance and breakdown costs. Liaising and assisting in setting up and complying with all company policies and procedures. Ensuring all buildings, plant and machinery are maintained to the highest possible standard and comply with regulations. Ensuring all departmental staff are capable of undertaking the jobs at hand, in a safe and capable manner, and in compliance with all company rules and regulations. Managing all departmental staff to ensure a continuous safe working environment for all production and engineering staff. Checking and adjusting staff levels to ensure the most efficient running of the department. Managing employees effectively and addressing any issues that arise in a professional manner by ensuring legislative compliance and best practice at all times- seek advice from HR when necessary. On completion of job training, ensuring all relevant documentation has been signed and forwarded to HR. Conducting disciplinary hearings with departmental staff. Approving and managing holiday allowance to ensure adequate cover in the department at all times. Conducting return to work interviews with departmental staff, ensuring completion of a Return to Work Form and forwarding to HR. Reviewing the performance of engineering staff- setting objectives for their training and development, providing support and creating opportunities for their training and development, providing feedback and evaluating the effectiveness and performance improvement. Ensuring compliance with Employee Handbook for all departmental staff. Liaising with HR/Payroll regarding T&A/Wages issues. Dealing with departmental staff in a fair and even handed manner, adhering to the Company Values at all times. Maintaining H&S and hygiene standards in accordance with Company rules and regulations. Ensuring that all staff and visitors in the department wear appropriate PPE at all times. Creating and developing risk assessments in-line with company policy. An excellent technical (engineering) background, with “hands on” experience and a relevant Engineering Level 4 qualification. Solid literacy and computer skills – Outlook, Excel, Word, Powerpoint. Strong all round communicator – highly organised, enthusiastic, and driven.